It is with great sadness that the family of Anne Kostynick announces her passing on January 12th, 2019 at the age 92 years with family by her side. 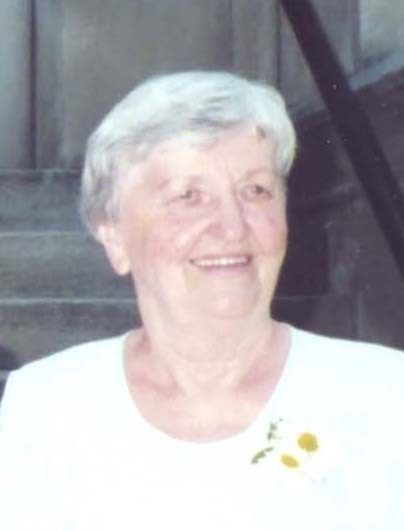 Anne was born in Czechoslovakia on February 8th, 1926 and immigrated to Canada in 1931. She was employed at Sears in the mail order department for over 25 years. Her family, home, reading and playing cards were her main interests. She loved to travel and enjoyed her many trips to Las Vegas as well as many other destinations. Anne is survived by her daughters Harriet (Don) Rancourt and Maryanne (Jack) Palmer, grandchildren Kristy (Jon) Bodnar, Jeff (Allison) Palmer and great-grandchildren Ryder, Elly, Jack and Riley as well as numerous nieces and nephews. Predeceased by her husband Gregory (Harry) in 1997, son John in 2016, parents John and Elizabeth Banik, brother Joe, sister Mary Ouellette and husband Maurice. As per her wishes cremation has taken place and a private family interment will take place in St. Patrick’s Cemetery. Anne Kostynick will be remembered in the Blake Funeral Chapel Memorial Grove. Annual dedication service Sunday, June 14, 2020.